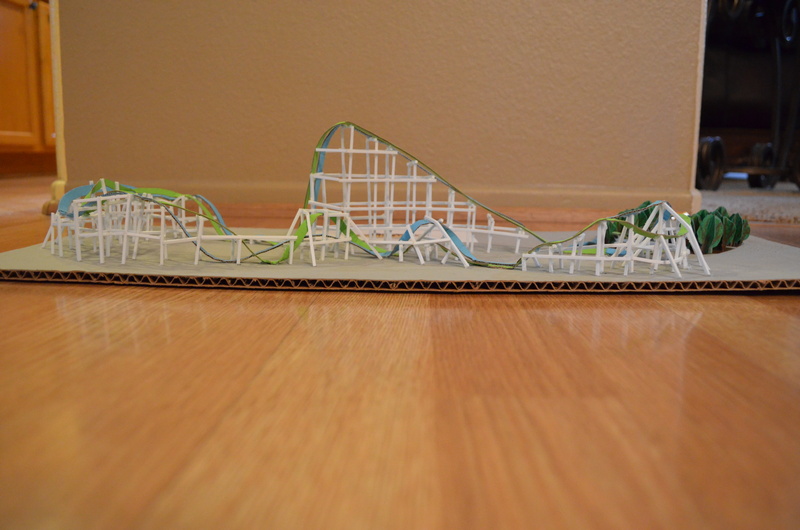 My latest creation is a model of Six Flags Magic Mountain’s newest coaster, Twisted Colossus. 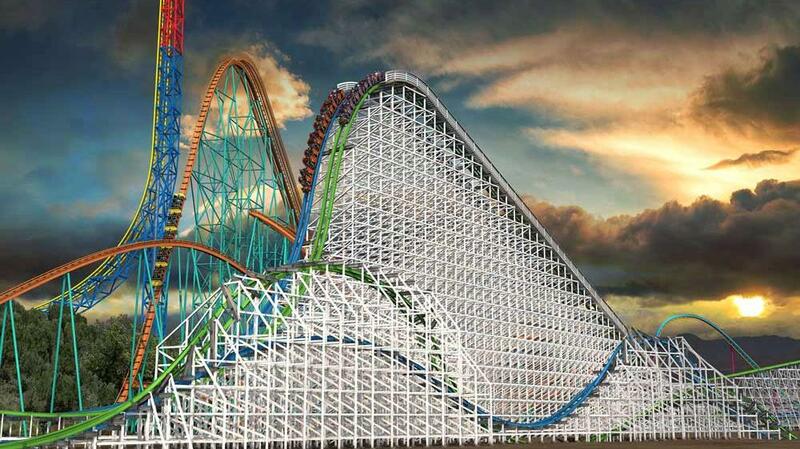 The coaster was announced back in August and is opening spring 2015. 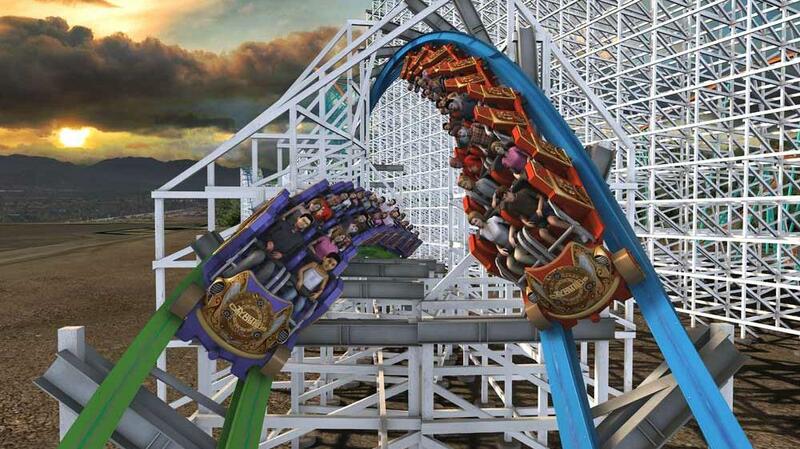 The coaster is an Iron Horse rebuild of the former Colossus wood coaster that opened in 1978. 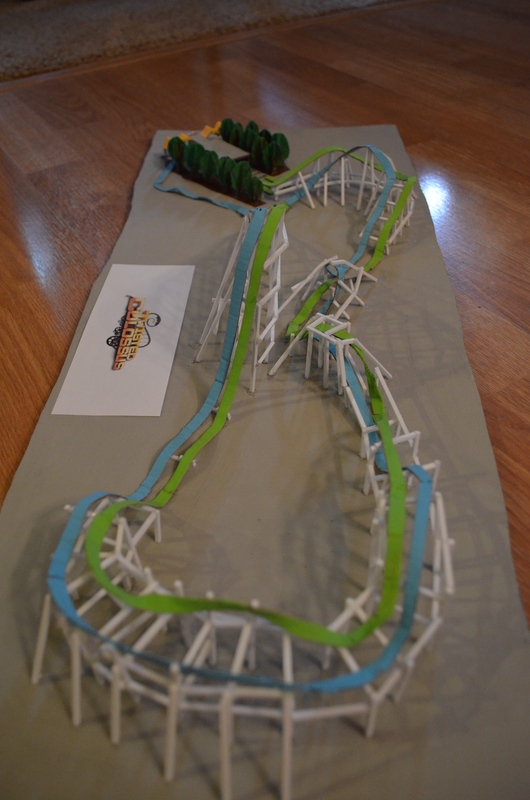 Colossus featured two twin racing tracks and traveled at speeds up to 62mph. 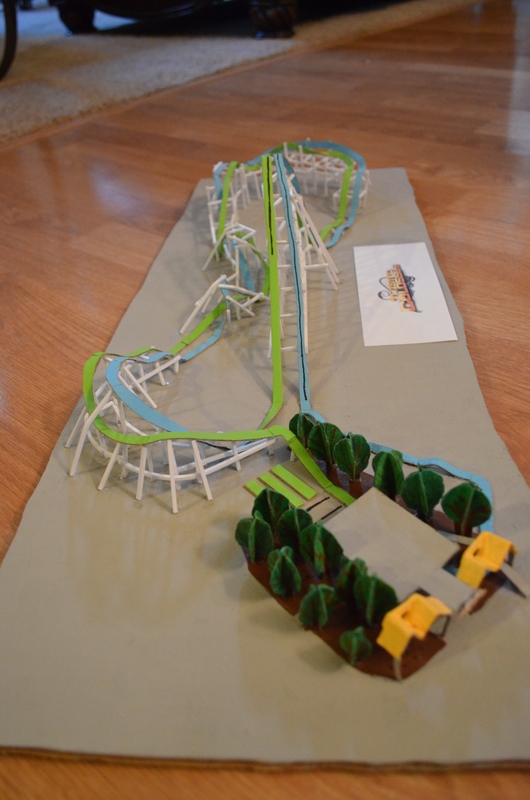 The park would run the coaster with the old Psyclone coaster trains that were built by B&M for their Fright Fest Halloween Haunt. Colossus was built by International Amusement Devices and had six trains from Morgan Manufacturing. The original Colossus closed on August 16, 2014. Twisted Colossus is being rebuilt using the original wood frame, but uses Rocky Mountain Construction’s Iron Horse hybrid track system. When the park was removing part of the original track, they used an open flame welding torch, and sparks landed on part of the wooden structure, lighting it on fire. That section of the lift has been recently rebuilt. 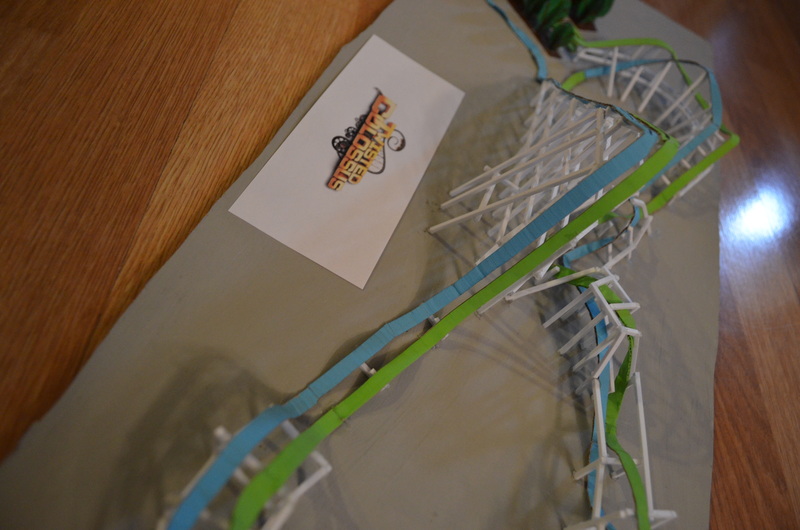 The ride will use the old right side of the station and has a small section trick track before the first lift. 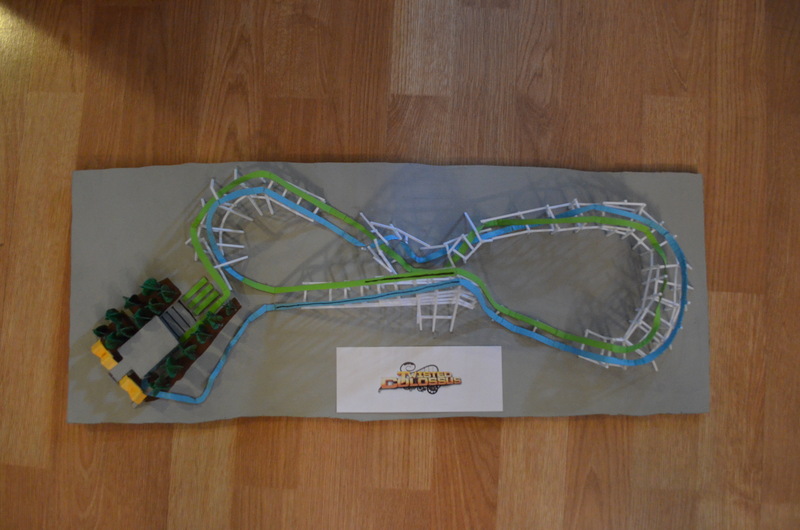 The first half of the ride is on blue track and the second half is on green track. 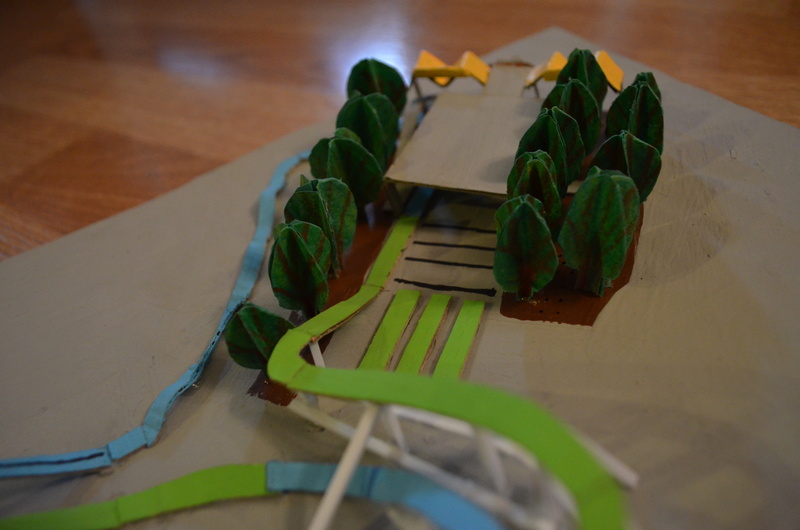 The blue colored track will become green as the train approaches the second half of it’s journey. 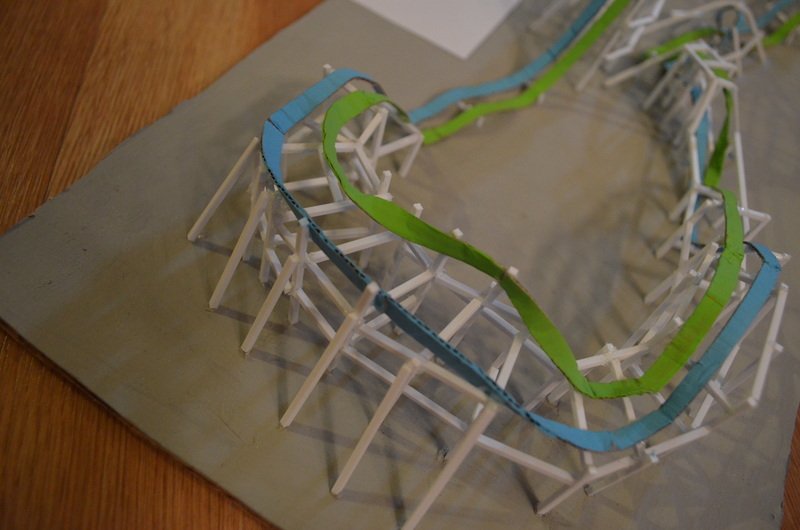 Each side features a lift hill, an 80 degree 128 foot drop, part of the high-five element, and a barrel roll on each side. 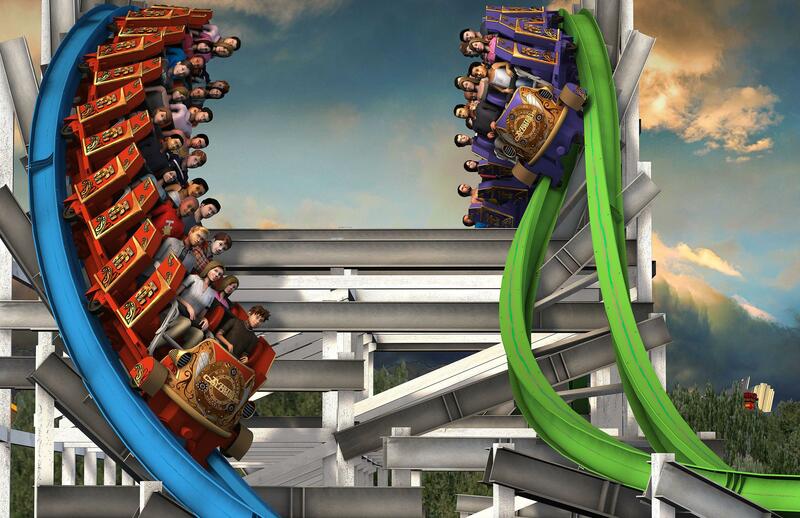 The ride will be able to run with four trains, two red, two purple, with a minimum of three so the dueling concept will work, this means the park will need to dispatch trains every 110 seconds. 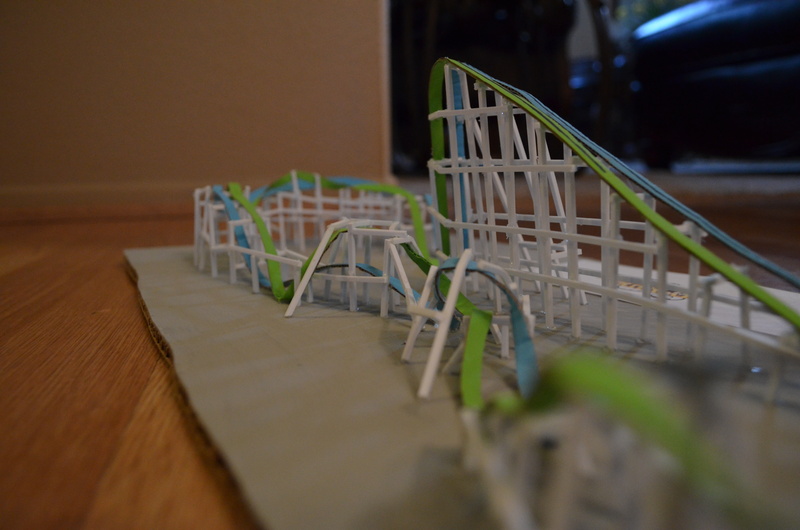 I made a model of the new coaster and used a new material in this model. 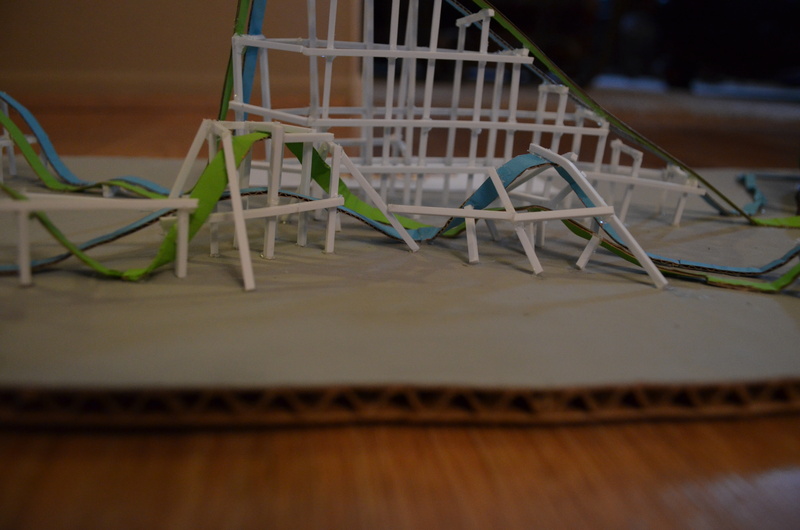 I used white styrene strips to build the wooden frame of the coaster. 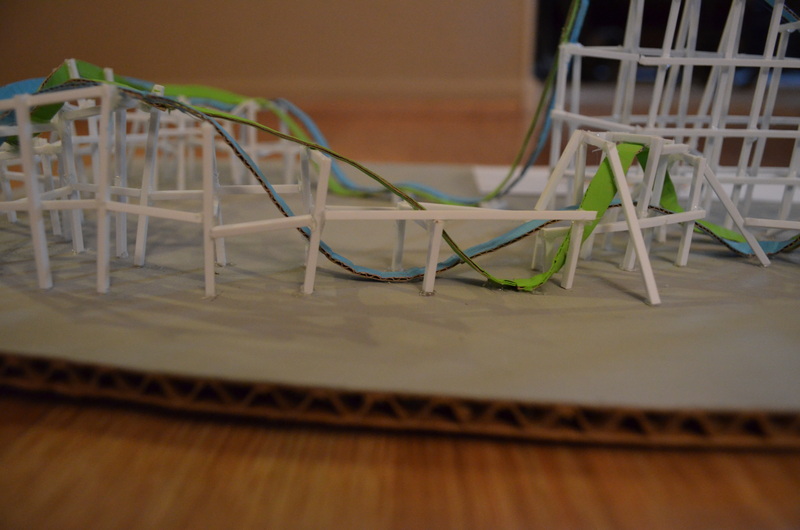 I used cardboard strips to build the coaster track and station. 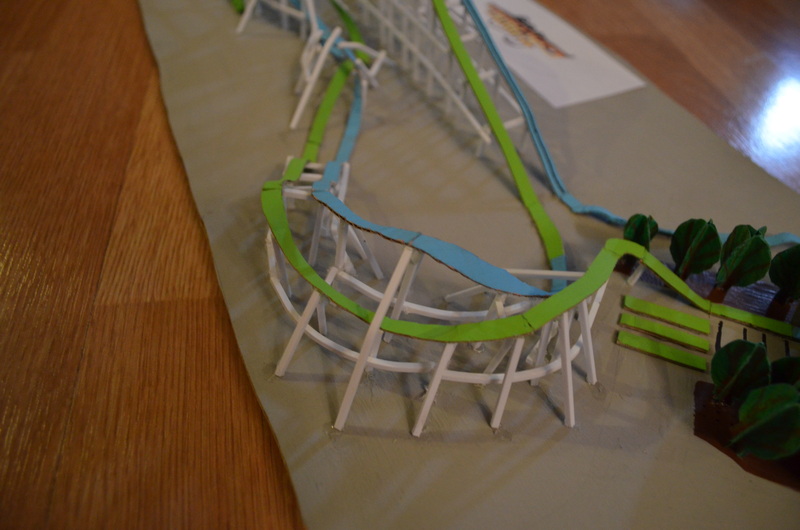 This model is about two feet long and does not feature the turnaround for Goliath as I wanted the model to focus on the new ride. 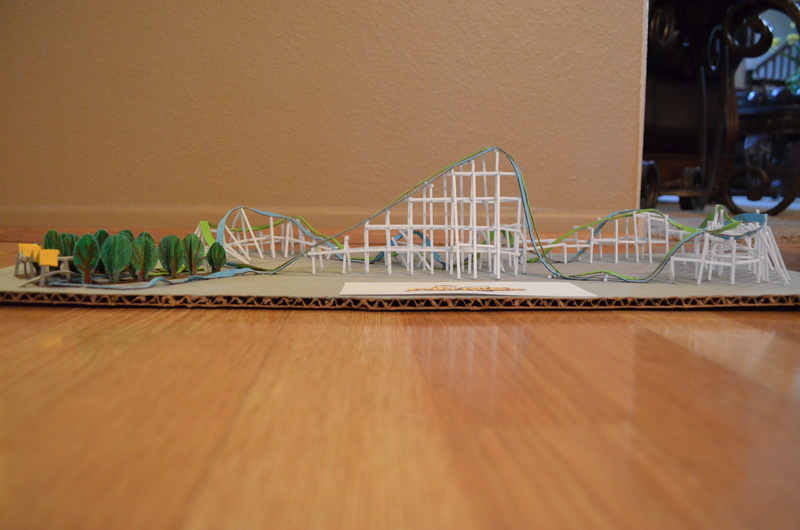 I hope you guys like my model of Twisted Colossus, I can’t wait to experience it when the ride opens this spring. 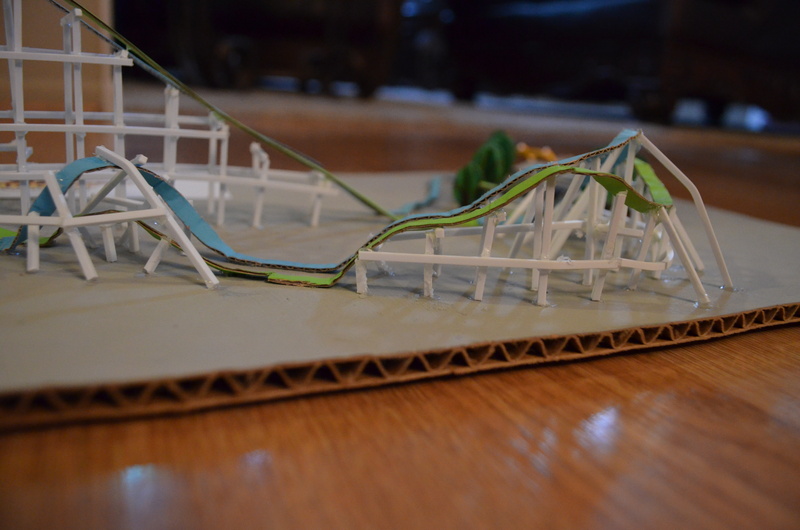 You can follow construction of my models and other theme park fun on Facebook and Twitter. That’s freaking awesome. GOOD WORK!! !